1) Buckley, H., 2017. Service users as receivers of risk?dominated practice. Beyond the risk paradigm in Child Protection, pp.77-90. Child abuse has remained a debatable topic for long due to risks it carries and solutions that governing system have. The issue is so critical that it can destroy the lives of children residing in various parts of the world. Such children would not be able to effectively pursue their academics and job career. Few of those who are not very strong from within the body, they are prone to suffer the most. Australia is one of very few countries in the world that is home to many foreign cultures. In this country, children with ‘culturally and linguistically diverse (CALD)’ background do generally suffer. In the article, Buckley (2017) says that child abuse is a serious offense and cannot be controlled with current criminal justice setting known as the risk paradigm. According to the author, there are needs to look beyond the risk paradigm. The author believes that child abuse can be a part of homes, academic institutions, organizations, and other social gathering places. Therefore, Buckley recommends to look beyond the existing criminal law justice framework and implement 7 C’s into organizational practices to bring in the reform works. Those 7 C's are the commitment, collaborative community, congruence, critical reflection, coherence, community and champions. 2) Wright, K., Swain, S. and McPhillips, K., 2017. The Australian Royal Commission into Institutional Responses to Child Sexual Abuse. Child abuse & neglect, 74, pp.1-9. 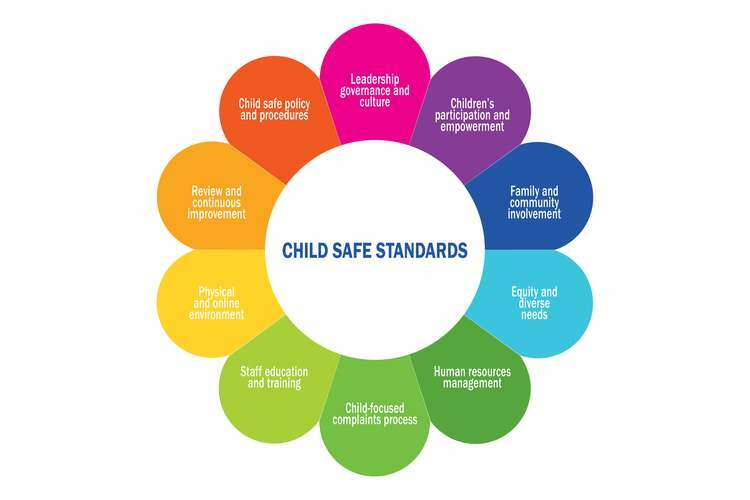 In this article, Wright, Swain, and McPhillips (2017) discuss the contribution of the Royal Commission towards child safety. The Royal Commission dedicated to responding to ‘Child Sexual Abuse' is the largest royal commission in the history of Australia. In Australia, the Royal Commission has raised awareness among the public and promoted rule & policy, practice, and the legislative reform. Internationally, it has its contribution in recent inquiries and research works being taken towards protecting children from abuse. One of the key reasons behind highlighting this article is to show the contribution of the Royal Commission and Australia's spending in response efforts and prevention from child abuse. The article is highlighted hoping that this would encourage practitioners, researchers and on a broader note, the interested public towards using materials provided by the Royal Commission. As Australia is a small country in terms of population; hence, the international community might ignore the contribution of the Royal Commission. Wright, Swain, and McPhillips have hoped that this article would create awareness among people, public, national bodies, private firms, NGOs and others towards child safety from child abuse. The Royal commission’s work towards controlling child abuse cases is worth noting. 3) Van Bijleveld, G.G., Dedding, C.W.M. and Bunders-Aelen, J.F.G., 2014. Seeing eye to eye or not? Young people's and child protection workers' perspectives on children's participation within the Dutch child protection and welfare services. Children and Youth Services Review, 47, pp.253-259. Authors Van Bijleveld, Dedding and Bunders-Aelen (2014) discuss the participation of children within child protection and welfare services in Dutch. The article speaks about participation roles of case managers, young people, and children. As of now according to authors, there is still very limited dialogue between case managers and young people. They do not have ample of opportunity to understand whether children should also be a part of the discussion forum or should also be asked for their pieces of advice. Due to low dialogues between young people and case managers, children would still be encouraged for not participating in the decision-making process. They believe that it is up to the children to have feelings for their participation in the decision-making. There are a few barriers to the participation of children in decision-making. One of the barriers is the case managers' perception towards participation as they believe that it is more important to protect children from child abuse rather than thinking of children's participation in the decision-making process. In summary, it can be concluded that child abuse is an offense and needs to be dealt with a much better setting of criminal and justice. There is a need to look beyond the risk paradigm. It is being suggested in the first article that 7 C’s if applied and implemented on organizations, this would produce results. Moreover, this would help to have a dynamic approach towards resolving child abuse cases. The Royal Commission in Australia which mainly deals with Child Sexual Abuse has raised public awareness towards protecting lives of ‘Culturally and Linguistically Diverse’ children. It is busy designing policies and rules needed to be implemented to bring in quick results. Case managers and young people have been shown as not accepting children in the decision-making process. This is actually because the focus is more on child protection rather on children’s participation in the decision making. Child safety is indeed more important for case managers and young people. There is a need to prioritize the works to work accordingly. 1. Garner, P.W., Mahatmya, D., Brown, E.L. and Vesely, C.K., 2014. Promoting desirable outcomes among culturally and ethnically diverse children in social emotional learning programs: A multilevel heuristic model. Educational Psychology Review, 26(1), pp.165-189. 3. Lamb, M.E., Brown, D.A., Hershkowitz, I., Orbach, Y. and Esplin, P.W., 2018. Tell Me What Happened: Questioning Children About Abuse. John Wiley & Sons. 4. Rheingold, A.A., Zajac, K., Chapman, J.E., Patton, M., de Arellano, M., Saunders, B. and Kilpatrick, D., 2015. Child sexual abuse prevention training for childcare professionals: An independent multi-site randomized controlled trial of stewards of children. Prevention Science, 16(3), pp.374-385. 5. Turner, W., Hester, M., Broad, J., Szilassy, E., Feder, G., Drinkwater, J., Firth, A. and Stanley, N., 2017. Interventions to improve the response of professionals to children exposed to domestic violence and abuse: a systematic review. Child abuse review, 26(1), pp.19-39. 6. Ward, J. and Smeeton, J., 2017. The end of non-consensual adoption? Promoting the wellbeing of children in care. Practice, 29(1), pp.55-73. 7. Lamb, M.E., Brown, D.A., Hershkowitz, I., Orbach, Y. and Esplin, P.W., 2018. Tell Me What Happened: Questioning Children About Abuse. John Wiley & Sons. 8. Rheingold, A.A., Zajac, K., Chapman, J.E., Patton, M., de Arellano, M., Saunders, B. and Kilpatrick, D., 2015. Child sexual abuse prevention training for childcare professionals: An independent multi-site randomized controlled trial of stewards of children. Prevention Science, 16(3), pp.374-385. 9. Ward, J. and Smeeton, J., 2017. The end of non-consensual adoption? Promoting the wellbeing of children in care. Practice, 29(1), pp.55-73. George, E., Schmidt, C., Vella, G. and McDonagh, I., 2017. Promoting the rights and social responsibilities of children: a South Australian example. Global health promotion, 24(1), pp.53-57. 10. Turner, W., Hester, M., Broad, J., Szilassy, E., Feder, G., Drinkwater, J., Firth, A. and Stanley, N., 2017. Interventions to improve the response of professionals to children exposed to domestic violence and abuse: a systematic review. Child abuse review, 26(1), pp.19-39. 11. Garner, P.W., Mahatmya, D., Brown, E.L. and Vesely, C.K., 2014. Promoting desirable outcomes among culturally and ethnically diverse children in social emotional learning programs: A multilevel heuristic model. Educational Psychology Review, 26(1), pp.165-189.